When skin starts to sag, wrinkle, or develops pigmentation issues, skin rejuvenation may be the perfect way to turn back the clock. 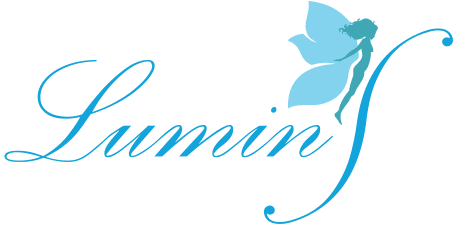 At LuminS Skin & Body Rejuvenation Center in Garden Grove, CA, several options are available to give a fresh and rejuvenated look. CO2 laser resurfacing is a skin rejuvenation treatment designed to address several different skin issues. It can reduce or eliminate wrinkles, smooth away crow's feet, soften smoker's lines on the lips, soften facial scarring, reduce the appearance of blotches on the face, and improve overall skin tone. This laser procedure is done under a local anesthesia while the patient is lightly sedated for comfort. Skin heals in about 1 to 2 weeks, and patients are left with newly glowing skin that looks much as it did in their youth. Intense Pulsed Light treatment is a type of skin rejuvenation technique that uses a pulsed light rather than a laser. IPL treatment is used for a variety of skin concerns including reduction of age spots, pore reduction, reduction of rosacea, and reduction of sun damage to the skin. IPL treatments typically take under half an hour and involve only minimal discomfort. There is no downtime and patients can return to work right away with IPL treatments. What is the Q-Switch Laser? The Q-Switch laser is ideal for people who need to reduce the appearance of large pores, brighten their skin tone, or reduce mild acne scarring. This laser is gentle and does not cause discomfort. Q-Switch laser treatments have no recovery time, so patients can return to their routine right away. Several different sessions may be needed for optimum results, with most people getting excellent results within 10 or less treatments. The Q-Switch laser treatment can also be combined with other treatments. What is the Pico Genesis Laser? Pico Genesis is the new treatment to clear pigmentation and age spots with NO DOWNTIME. Pico Genesis skin rejuvenation treatments are great for all skin types. PICO Genesis introduces an entirely new approach in the treatment of pigmentation and skin revitalization that combines the benefits of two highly effective wavelengths in ultra-short pulses to cause an intense, non-thermal, photo mechanical disruption and remodeling of the upper dermis. 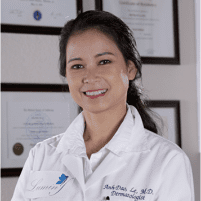 What we get is a brighter, more uniform complexion in fewer treatments than traditional methods. Pico Genesis laser focuses on your problem areas whether it’s brown spots, sun damage, freckles, pigmented lesions or acne scars. Pico Genesis laser offers a gentler treatment. In the past, lasers have relied on intense heat energy to remove pigment from the skin, which may be painful and lead to significant skin redness and downtime. It’s important to consider your options. Face-lifts, fillers, and toxins are associated with significant downtime, risks, and side-effects. Patients often consider these treatments a “last resort.” The first step to achieving a more youthful appearance, or just tweaking some trouble-spots may be a Pico Genesis laser treatment. Come in for a complimentary consultation to see if this treatment is right for you! Which Skin Rejuvenation Option is Best? The answer is different for each person. Dr. Le will discuss concerns and questions with each patient so that a customized treatment plan can be created. Some people will benefit from a blend of skin rejuvenation techniques, especially if they have more than one skin concern.